Five ambulance companies in Southern California have settled at $11.5 million to resolve yet another ambulance-related healthcare fraud whistle blower lawsuit. Whistleblower Kelvin Carlisle, owner of a competitor ambulance company, alleged the five fraudulently engaged in “swapping” services with nursing homes and hospitals for exclusive rights to transport Medicare patients. Kelvin Carlisle will receive a $1.7 million whistle blower reward for exposing the allegedly fraudulent scheme. Kelvin Carlisle filed the whistleblower lawsuit alleging his company, Care Medical Transportation Inc., could not compete with rival companies who were offering illegal discounts. He accused competitors of offering 50 to 100 percent discounts on non-emergency patient transport to nursing homes and hospitals. In return, the nursing homes and hospitals promised to use only those ambulance companies’ services for the lucrative Medicare transports. Carlisle’s own company had offered similar discounts until he heard about the $9 million American Medical Response Inc. settlement in 2009 concerning related charges. He ceased to offer the discounts in his own company and claims to have lost “scores of contracts” because he could not survive amongst rival ambulance companies continuing to offer what he alleged were tantamount to kickbacks. 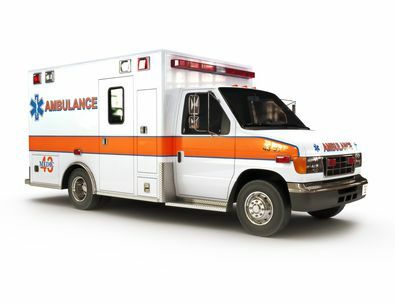 Health care fraud involving ambulances has reached epidemic proportions. In January 2014, Medicare and Medicaid officials in Philadelphia and Houston established a moratorium to stop new ambulance companies from opening until legitimate companies could be identified. Federal law prohibits payment arrangements intended to influence health care referrals. A federal Anti-Kickback Statute prohibits any company from offering, paying, soliciting or receiving remuneration to induce referrals of items or health care services covered by Medicare. The U.S. False Claims Act has recently been expanded to include violations of the Anti-Kickback Statute making healthcare kickbacks a new and expanded subject of whistleblower claims under the FCA. “Protecting the integrity of the Medicare program so it can continue to provide healthcare for its patients is a priority for the FBI,” said an FBI spokesperson when the settlement was announced. All agreed to pay a combined $11.5 million to end the False Claims Act whistleblower lawsuit alleging they paid kickbacks to nursing homes and hospitals for exclusive rights to serve Medicare patients. Under the federal False Claims Act, whistleblowers that are the first to provide non-public information on fraud against the U.S. government, are eligible to receive up to 30 percent of whatever money the government collects. The claimant must have inside, “original source” information on fraud involving a government-funded program. Mr. Kelvin Carlisle will be rewarded in excess of $1.7 million of the False Claims Act settlement money. Healthcare fraud costs taxpayers billions of dollars each year. In addition, overbilling federal funded healthcare programs depletes resources needed for those who actually require medical services. The Department of Justice credits the False Claims Act as one of its most powerful tools in the effort to prevent healthcare fraud. Since 2012, over 70 percent of all federal FCA actions were initiated by whistleblowers. In 2014 alone, the Department of Justice paid whistleblower awards of over $635 million.